I am officially outside the USA for the first time in my life. What an odd feeling! I seem to have experienced quite a few firsts during the last 24 hours. I flew on a plane, went to a geothermal pool, and slept in a room with 13 strangers. And I can only reason that this list will continue to grow! I disembarked from my flight just before 6am Tuesday morning. My hostel check in was not until 3pm so I planned on stopping by the Blue Lagoon. Unfortunately my visit to this unique and lovely site was marred by bad weather, and some serious jetlag! 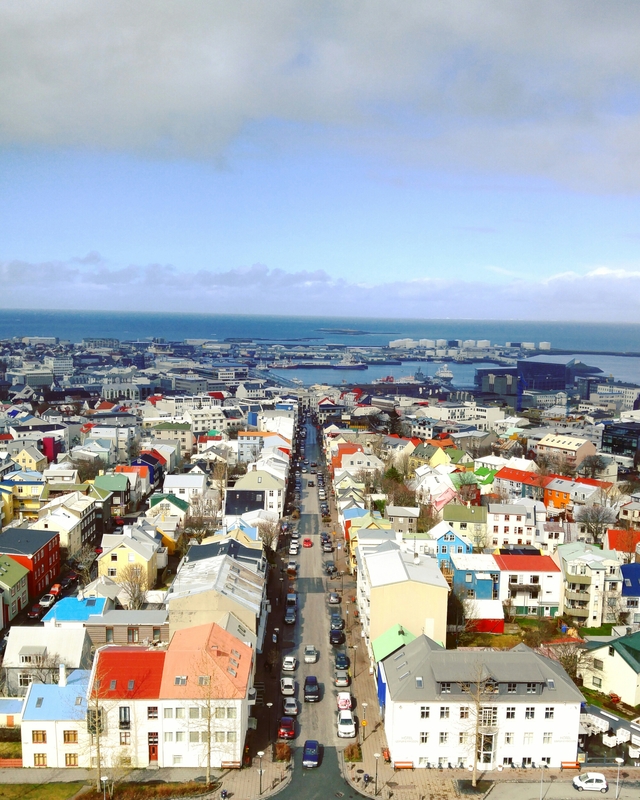 Taking the bus from Keflavik airport to the lagoon was like stepping onto another planet. This was my first sight of Iceland. Moss covered hardened lava fields as far as I could see, being drenched in a soggy mess of snow and rain. Boston had been sunny and 75 degrees when I left it. I couldn’t help but wonder just what have I gotten myself into? When we reached the Blue Lagoon, it was just opening, on a cold Tuesday morning. There were no crowds yet. The staff let us know we needed to shower before and after swimming, and after being on a 6 hour flight this was actually great. If you visit, don’t for get to use a ton of conditioner in your hair. I mean slather it in generously, then leave it in and put your hair in a bun. The silica in the pools is great for your skin but your hair will hate you for it. So also try not to get it wet. The nape of my neck got wet and two days later the hair there still feels dry and crinkly. I kept to myself for the most part and just swam around relaxing. Eventually I found myself chatting with another traveler and she guided me to the silica mud face mask area, the waterfall, and the cave like sauna. While I enjoyed my time here, I must confess that the pricetag for this particular place is much higher than I feel it should be. I would not go again because of this. But for a one time experience, I can justify the expenditure.